In the centre of an area of outstanding beauty, Schull is one of the loveliest villages in West Cork. The prevailing southwesterly winds come over more than two thousand miles of open sea and the air is marvellously clear and clean. The safe and welcoming harbour, the many islands off-shore and the Atlantic Ocean beyond provide an excellent base for water sports. There is also golf, tennis, pony trekking, a planetarium, fine restaurants, good accommodation, a boatyard and a peninsula rich in archaeology. It is wonderful country for walking and cycling and an excellent area for holidays, winter and summer. The playground at the east end of the village is good for small children. One can walk down to the pier and see the boats. 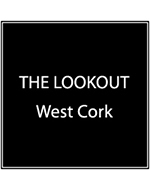 Schull is surrounded by a richness of archaeological sites, and West Cork is rich in political and ancient history. The safe and welcoming harbour, the many islands off-shore and the Atlantic Ocean beyond provide an excellent base for water sports. There is also tennis, pony trekking, a planetarium, fine restaurants, good accommodation, a boatyard, a weekly Country Market and a peninsula rich in archaeology and wildlife. It is wonderful country for walking and cycling and an excellent area for holidays, in winter and summer. The waters off the picturesque coastline are filled throughout the summertime with dolphins, seals, whales and sharks. Ferries are available for tours around the islands, or for those wishing to spend a day on Cape Clear, on Sherkin, in Baltimore or who wish to sail around the Fastnet Lighthouse. The timing of the Cape Clear, Sherkin or Long Island Ferries makes day excursions feasible.